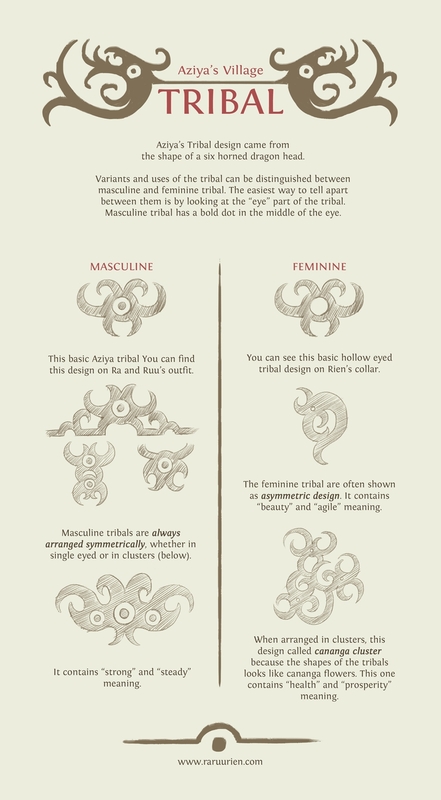 Our concept art today is about tribals design I used throughout the story so far in Aziya village. This design rules are designed exclusively for Raruurien. Now I wonder which concept should I reveal next?